Buffalo's history has almost always been tied to industry and shipping as the city grew up on the coast of Lake Erie. After the completion of the Erie Canal helped solidify Buffalo as a bustling city, industry became a secured fixture of the area. 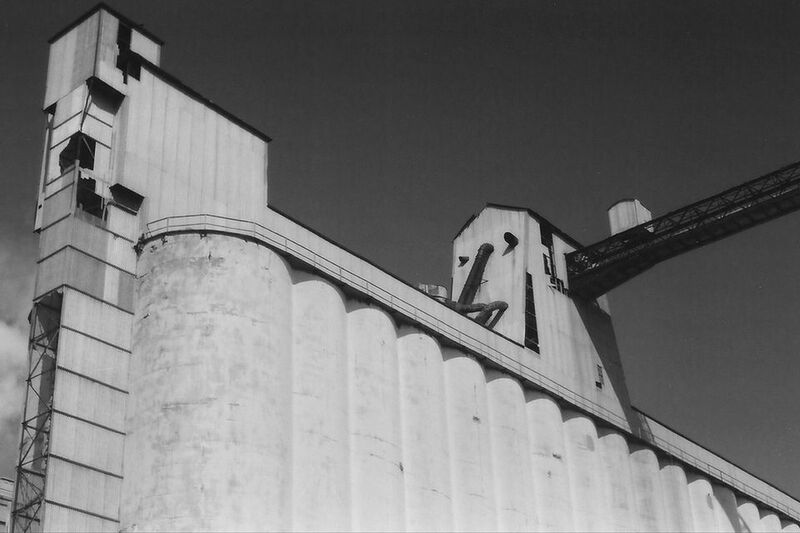 Along a stretch of the Buffalo River leading to the Canalside district of Buffalo's downtown, grain elevators rose quickly. The design was crafted in Buffalo in the mid-1840s, to make loading and unloading material easier as the river would become incredibly crowded and teams needed to work at a faster pace. Many Buffalonians worked on or near the docks, making the city a through and through blue collar town. The area around the grain elevators gained a sour reputation during the 1800s as one of the toughest in the country (you can read more about that here.) That reputation carried through into the 1900s, and pretty much right up until the surround neighborhood was demolished to make way for a public housing project. The growth of railroads and the opening of the Saint Lawrence Seaway in the second half of the 20th century caused a steep decline in usage for the Erie Canal. The city started to see a massive exodus, mainly due to the dip in industry and jobs. Much of the bustling waterfront quieted down for the first time in well over 100 years. While some business still took place there, it was much more subdued than before. As industry came to a halt in the city, these dominating figures closed up and sat abandoned for many years. Plenty were demolished with no plans of future development, with nothing more than a parking lot standing in their place. No one could quite figure out what to do with them, so the sat until the dwindled away. Luckily, not all were discarded. Only recently has the city found use for some of these structures with the development of an ice skating rink in the midst of these facilities. Also, each year a visual arts event called City of Night takes place in the midst of these buildings. Thousands come out to the formerly forgotten part of town to see the crazy light effects that are displayed on the silos. Many more of these dominating structures still remain unused, but as the city continues its growth I'm sure many more will be transformed into something great. Follow Sean on Twitter and Instagram @BuffaloFlynn, and check out our Facebook page.